Stabilizing the nation’s Highway Trust Fund needs to be resolved with collaboration from states, according to National Governors Association Chairman Brian Sandoval, the governor of Nevada. He said while states are forced to take pragmatic actions to maintain and modernize vital infrastructure — because of uncertainty of transportation funding at the federal level — they still must remain engaged at the federal level. 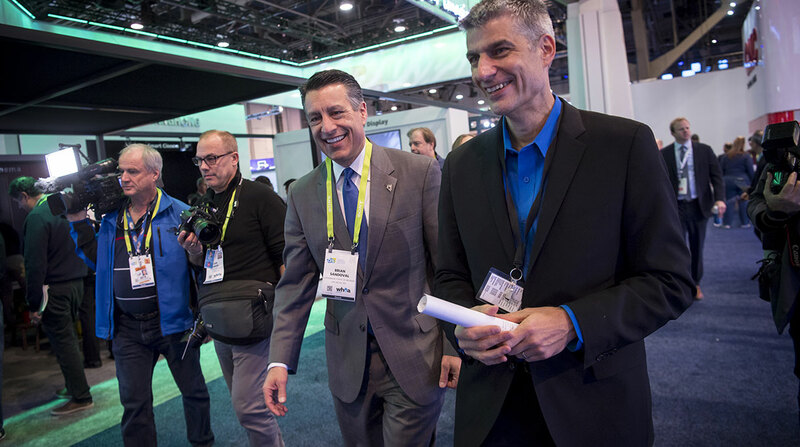 “Successful state action shouldn’t signal a desire for federal disengagement,” the Republican governor said in his State of the States address to the association Jan. 12 in Las Vegas at CES (formerly the International Consumer Electronics Show). The Highway Trust Fund provides financial backing for state infrastructure projects. The fund is bolstered by revenue collected from a federal tax on diesel (24.4 cents per gallon) and gasoline (18.4 cents). Improvements in fuel consumption and shifting driving habits have lowered the amount in the fund at a time when infrastructure overhauls are crucial. Emphasizing advances in autonomous and connected vehicle technology, Sandoval said states and local governments must make sure that infrastructure meets the needs of these vehicles in order to transform traffic management programs. In turn, the federal government must match the rapid pace of autonomous technological innovation with vehicle safety standards . “Governors know that the testing and deployment of autonomous vehicles on our nation’s roads is an area where state and federal coordination remains critical,” he said, citing the nation’s extensive interstate system, 500 miles of which run through Nevada. His state was an early adopter of autonomous vehicles, including commercial trucks. Adopting autonomous technology to facilitate freight movement is among the state’s transportation goals, as is exploring drone technology as a potential supportive freight delivery technique. “The women and men who make up the tech industry are pushing the envelope, and governors need to work with them to ensure advancements in technology lead to positive change for citizens,” Sandoval said.